Tiny paper cranes make me happy. 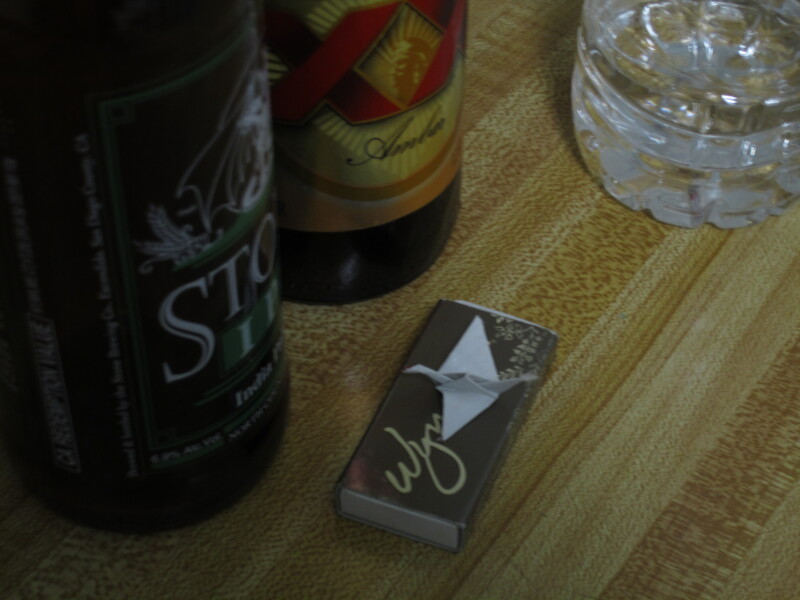 This little guy was found sitting atop an empty bottle of beer alongside the box of matches from the Wynn in Las Vegas. Creative finger tips took precious time to make this little slice of positive energy and left for others to enjoy. To all my friends, you are awesome.